'It is clear that highly engaged teams deliver significantly better results, yet it is challenging to create an engaged company culture. 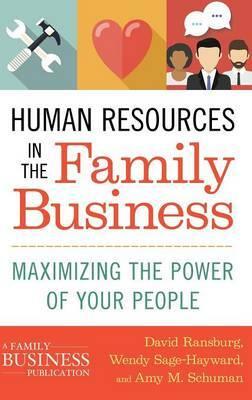 Human Resources in the Family Business is an excellent step-by-step practical guide for any family business to take their team to a new level and achieve greater success.' Robert Pasin, Chief Wagon Officer, Radio Flyer Inc.